How To Make Multi Level Drop Down Menu in CSS. If you have been looking for a vertical menu that is multi level you found the right place. 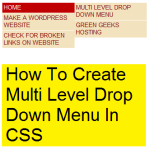 Its very easy to create a multi level drop down menu in CSS. Copy our drop down menu code to your site and edit the HTML code. This horizontal menu is super fast loading as text colours and background colours are done from the CSS code. You have full control and don’t need a menu maker. Step1: To make multi level drop down menu in CSS on your site copy the dropdown menu code from below and paste onto your site. Step2: Update your site and the multi level drop down menu will be on your site. You can now start to change the appearance of the menu to your colour scheme using the menu CSS code, see below how to change colours, text size, menu width and lots more in the menu CSS tutorial. Step3: Change the anchor text and links in the multi level drop down menu to what applies to your site. 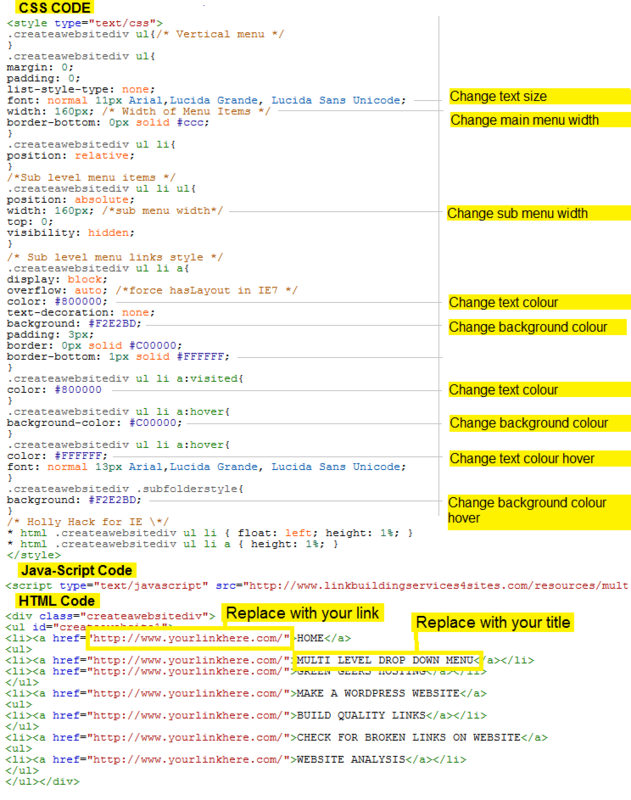 See tutorials below on how to change the multi level drop down menu HTML code. If you need to match colours on your site for your vertical menu then use the instant eyedropper. It can select any colour from your screen and copies the hex colour code to the clip board for you to paste in your menu CSS code. Or use our hex colour code chart to select web safe colours for your menu colours. This is the full vertical menu code that you will copy and paste to your site below. The menu CSS is first this is to control menu colours, text size, width etc. And last is the HTML part of the menu. Change menu titles and links in this part.